Lorean A, Mazor Z, Barbu H, Mijiritsky E, Levin L. Nasal floor elevation combined with dental implant placement: a long-term report of up to 86 months. Int J Oral Maxillofac Implants. 2014 May-Jun;29(3):705-8.
ccerabone® is a natural bovine bone grafting material that is the material of choice for a high number of dentists. By today, more than 1.000.000 patients have been successfully treated with cerabone® in more than 90 countries. 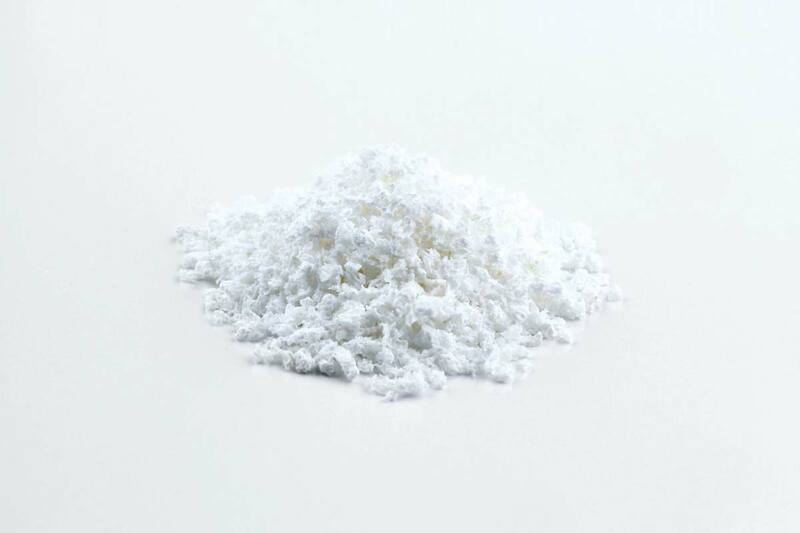 It is a highly reliable, long-term stable and particularly safe bone substitute. Due to the strong hydrophilicity of the surface, a mix of cerabone® with blood or physiological saline solution provides a suitable stickiness for optimal moldability and contouring. Dr. Damir Jelušić: 10 Years Clinical Application of cerabone® – Why, When and How? 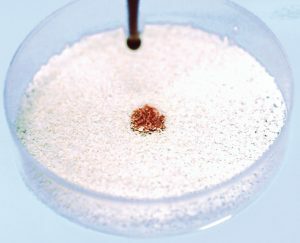 For the production of cerabone® a unique manufacturing process was developed including high temperature treatment at > 1200 °C. This treatment reliably removes all organic components including potential bacteria, viruses and prions [2, 3, 4, 6] and ensures maximum possible safety. 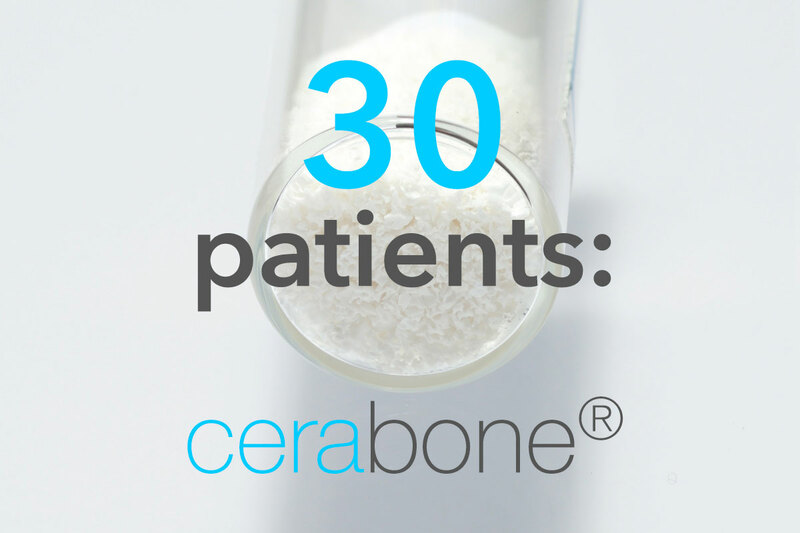 The purity of cerabone®, consisting solely of the mineral bone phase, was tested by different analytical methods  . In 2011 the high purity of cerabone® was confirmed by a leading biochemical laboratory . 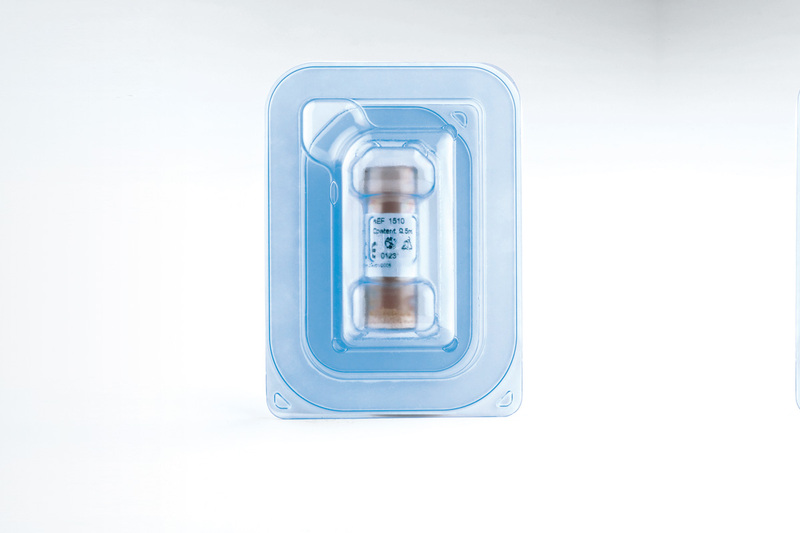 Final sterility of cerabone® is ensured by gamma irradiation. The sourcing of raw materials also contributes to the high safety of the final product. 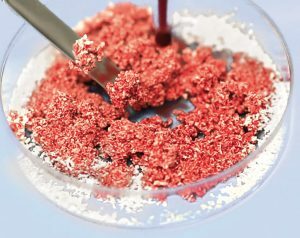 cerabone® is produced from bovine cancellous bone originating from registered abattoirs in New Zealand. According to the world organization for animal health New Zealand is a country with negligible risk for BSE . A quality agreement with the abattoir allows the back tracing of individual animals. Additionally, a health certificate for every animal is issued by a veterinarian. Both, the product cerabone® and its production process fulfill the German and EU-regulatory and security requirements for bovine bone grafts including DIN EN ISO 22442-1, DIN EN ISO 22 442-2 and DIN EN ISO 22442-3. For the production of cerabone® a special production process was developed based on the stepwise heating f the raw materials up to 1200°C. Several studies demonstrated that heating to temperatures above 1000 °C reliably removes all organic components [2, 3, 4] and creates a crystalline biologic bone apatite of high purity . 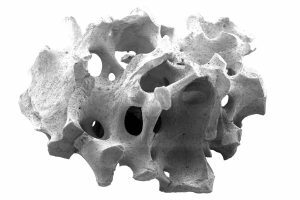 Due to a special production procedure, the natural porosity and surface structure of the bone mineral are not affected . Interconnected pores and rough surface morphology are fundamental to good hydrophilicity. cerabone® is a highly porous bone graft with a porosity of ~65-80 % and a mean pore size of ~600-900 μm . 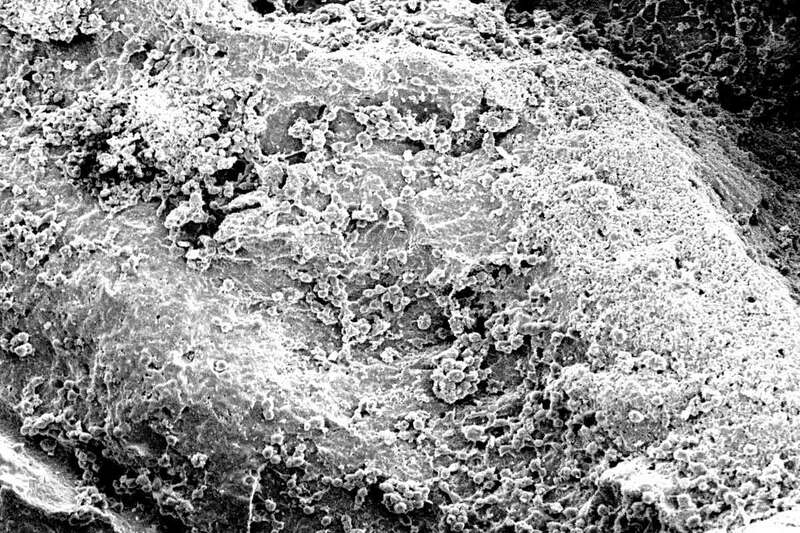 Macro-pores allow fast ingrowth of blood vessels and bone-forming cells, while micro-pores promote quick blood uptake by the capillary effect. 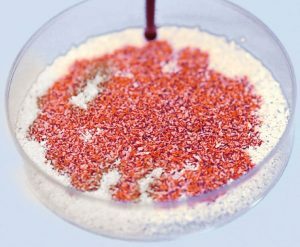 Due to their excellent hydrophilicity, the cerabone® particles quickly absorb liquids and adhere to each other after mixing, thereby facilitating handling. 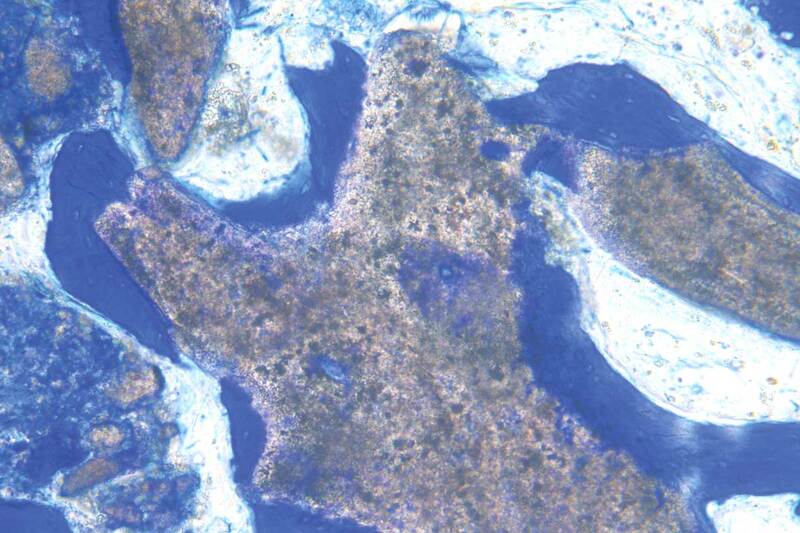 Adhesion of proteins and signaling molecules from the blood further improves the biological properties of cerabone®. 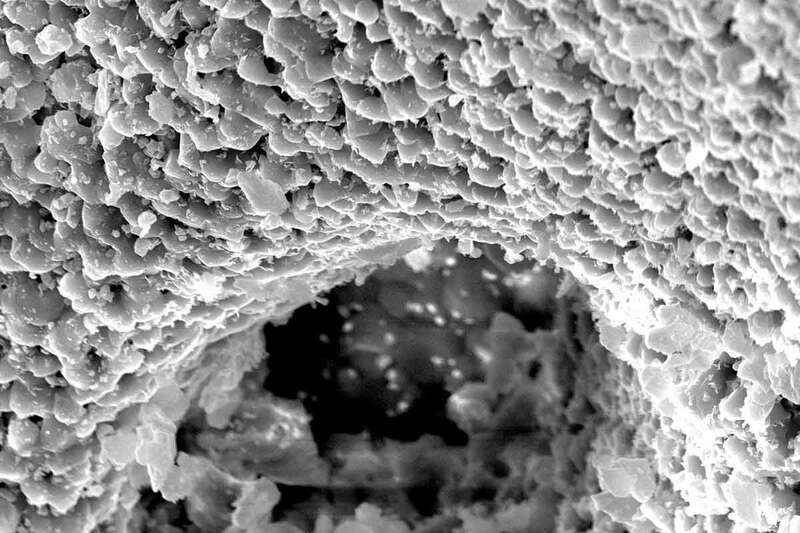 High porosity and rough surface morphology lay the basis for the good osteoconductivity of cerabone®. 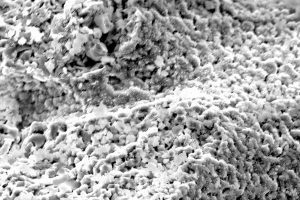 The cerabone® granules provide an excellent structure for adhesion and invasion of bone forming cells. The natural bone structure with interconnected pores allows complete integration of the implant due to the ingrowth of cells and blood vessels. 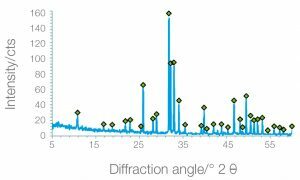 The sintering process makes cerabone® a highly crystalline material [5, 9] that degrades very slowly under physiological conditions. cerabone® therefore presents remarkable volume stability .